The history and the goal of our project. Over the last two decades Kantian scholarship in South America has become increasingly relevant to the philosophical debate both on Kant and on German Classic Philosophy. This is proved by the vast number of academic publications by South American Kant scholars, by the existence of two Kant Research Centres in Brazil, one Kant Centre in Argentina and of several academic journals dedicated to Kantian philosophy across South America. In 2005 the International Kant Congress was held for the first time outside Germany or the US, and it is not by chance that the country chosen for hosting the event (which is the most relevant one concerning Kant scholarship) has been Brazil (the event took place in São Paulo). Despite these achievements, South American Kant research is not yet adequately known and discussed in Europe, contrary to what happens in the US, where the local Kant Society has dedicated books to the Brazilian and Argentine Kant scholarship. 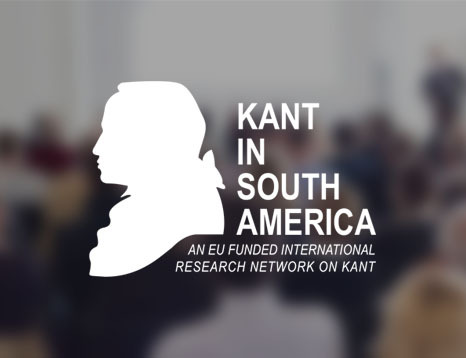 The project aims at making South American Kant scholarship more visible in the European philosophical debate and at promoting a stronger dialogue among European and South American Kant scholars.